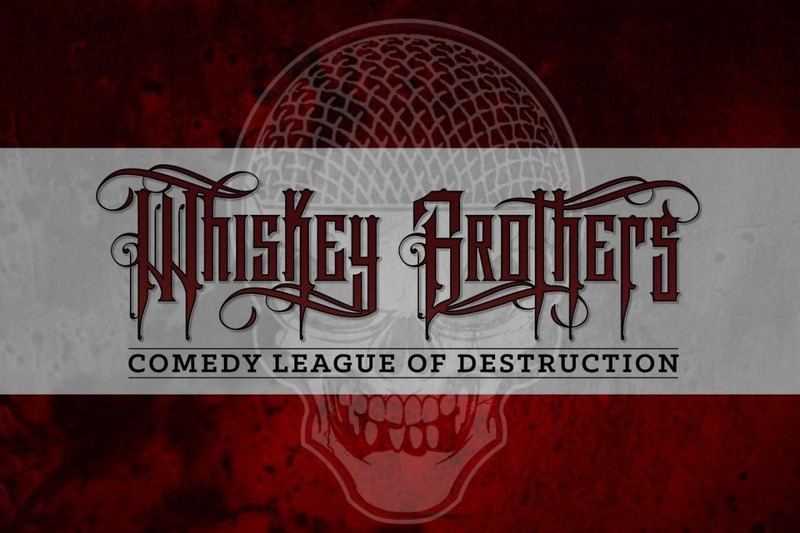 The Whiskey Brothers are a foursome of Houston based comedians. With a podcast every Wednesday, Slade, John, Sam, and Rob have become a staple in the comedy podcast genre. They have even established a drunk dial hotline – 206-495-3134. 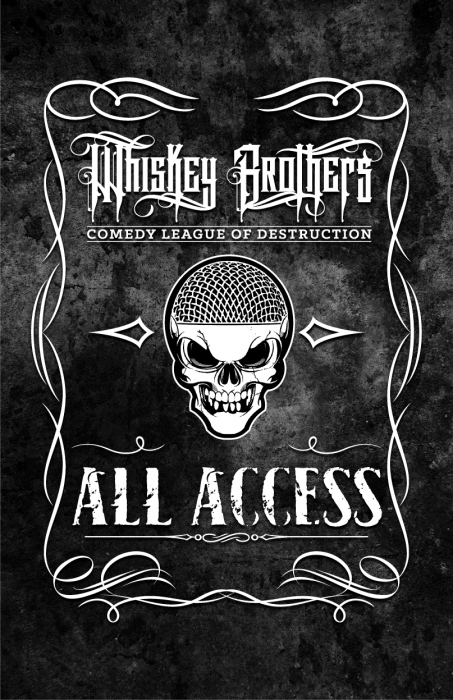 After the blazing success of their Kick-starter campaign, The Whiskey Brothers wanted two different laminate passes to give out to donors. 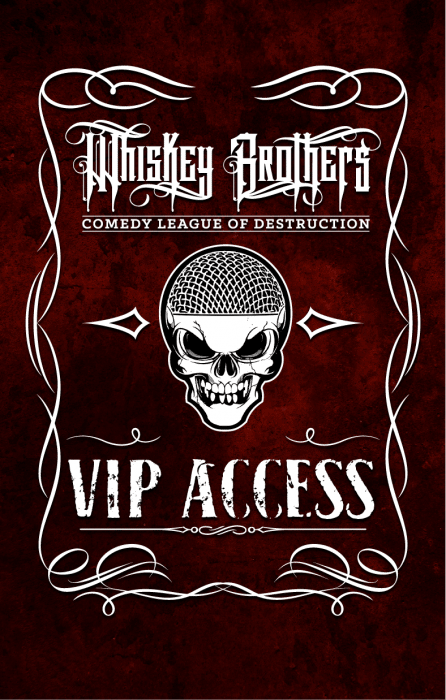 One for the VIP Access and another All Access. 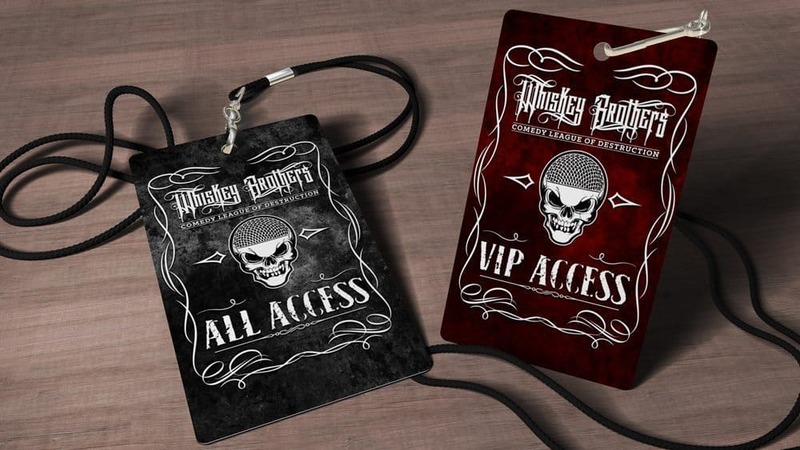 The Laminate design is based around the design of a Jack Daniels label and their current rough grungy branding.